The Ukraine Solidarity Campaign has received extremely worrying communications from our friends of the Confederation of Free Trade Unions of Ukraine KVPU that the Security Service of Ukraine – the SBU – is investigating the KVPU Chairman Mikhailo Volynets. Who is also leader of the independent miners’ union NGPU. The actions of the SBU are intended to intimidate Ukrainian trade unionists who have been engaged in a number of protests over the deteriorating socio-economic situation. 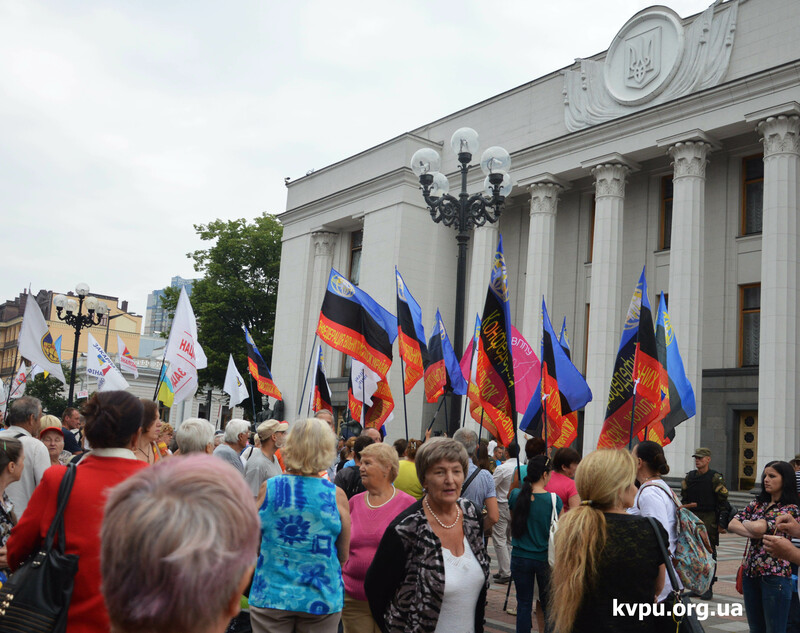 A joint protest of the KVPU and the Federation of Trade Unions was held on 15 June 2015 at the conciliation council of the heads of parliamentary board of Verkhovna Rada of Ukraine. Amongst the trade unions demands was: a fair household gas prices for households, increase in the minimum wage, repay all the wages owed to workers, laws to stop employers withholding wages, full pension payments for pensioners. They demanded the Cabinet of Ministers stop anti-social initiatives, cut household gas prices by 50% and develop a job creation programme for the youth, raise social standards including wages to those in the EU, increase public sector pay, and pensions. The trade unions have stated that if the Rada did not act on the issues then the unions would call a campaign of strike action. In response the SBU has targeted Mikhailo Volynets in an effort to intimidate the trade union movement. After the series of protests the leaders of unions in various regions were also summoned in by the SBU for questioning. “The Government haven’t paid any attention to the demands of coal miners to reimburse their unpaid wages. Now after legal protests they are trying to intimidate trade union leaders in all Ukrainian regions. I have an impression that the SBU is now very busy with trade unions, incriminating them in illegal activities”. We publish below an appeal from KVPU to the international labour movement. The actions against Volynets and KVPU is the equivellent of MI5 arresting TUC leader Frances O’Grady Ukraine Solidarity Campaign calls for the widest solidarity in defence of brother Volynets and Ukrainian trade unions. 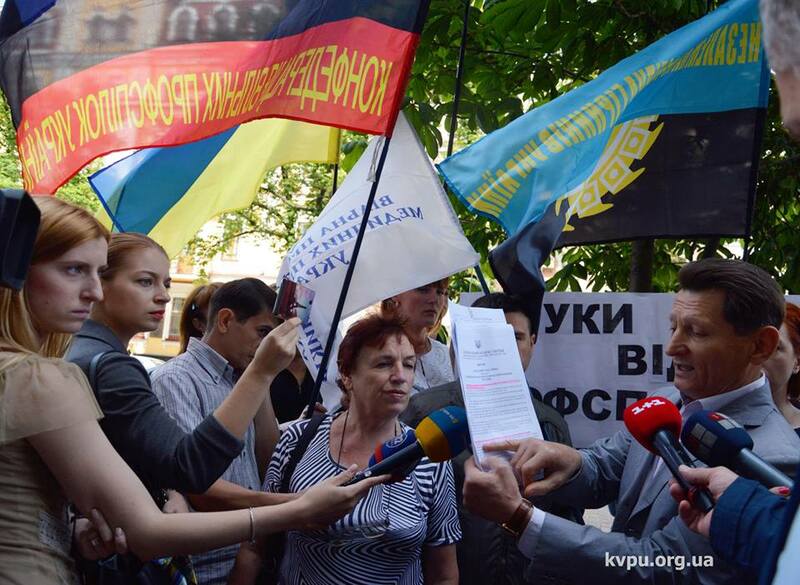 Today, 18 June 2015 our leader and the KVPU Chairman Mikhailo Volynets was called to the SBU (Security Service of Ukraine) to be investigated about trade unions’ protests held earlier this year. Half an hour before the appointment in the SBU, Mikhailo Volynets briefed the mass media representatives, who came to get to know why trade unions are under investigation. Mikhailo Volynets said: “The Government haven’t paid any attention to the demands of coal miners to reimburse their salary debts. Now after the legal protests they are trying to intimidate trade unions leaders in all Ukrainian regions. I have an impression that the SBU is now very busy with trade unions, incriminating them in illegal activities”. Mikhailo Volynets has also stressed that the SBU specialists do not know the Law of Ukraine about Trade Unions and the Constitution of Ukraine which stipulate the right to freedom of expression and the freedom of assembly giving no legal grounds for the government/public services to interfere into these freedoms. 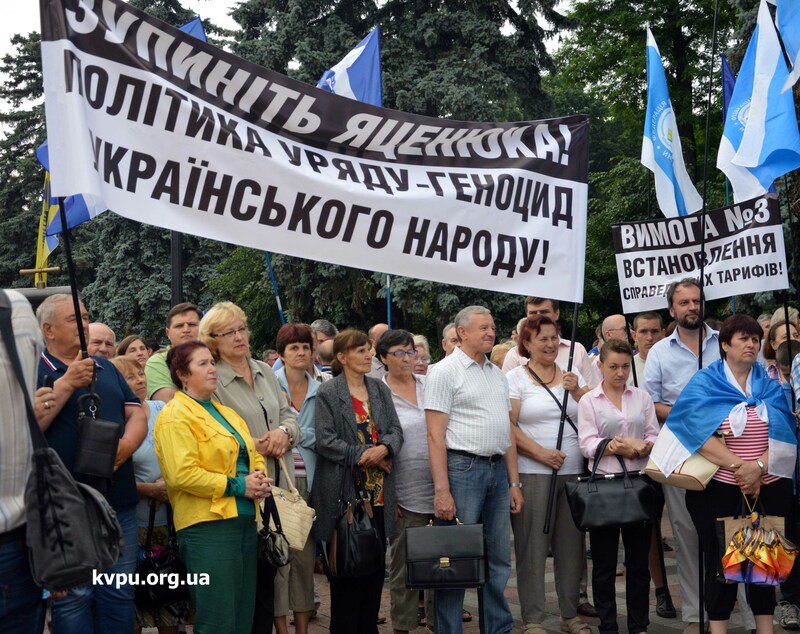 After the series of workers’ protests in April-June 2015 the heads of primary trade unions in various Ukrainian regions were also summoned in the local SBU departments for questioning. Mikhailo is still under investigation in the SBU illegally kept and questioned. We call on the International partners, trade unions and human rights institutions to express their opposition to the violation of fundamental trade union principles in Ukraine. Mikhailo Volynets has just announced that he is to go on “hunger strike”.